May 1, 2018 -- The U.K. Royal College of Radiologists (RCR) has published a tribute to Dr. George Mackie, the leading interventional radiologist who died in late 2017. "Many of his skills were acquired in an era before the internet, courses, or even books for guidance. They were achieved through courage, dexterity, reading, prodigious patient service, and clinician liaison many times a day," wrote Dr. Richard FitzGerald, past vice president of RCR. 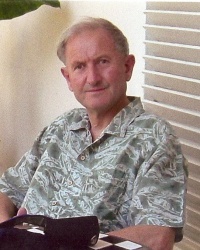 Mackie worked as a radiologist in Wolverhampton, U.K., from 1971 to 2009. Born in 1938, he developed an expertise in ultrasound, pioneering the use of interventional radiology, and helping to establish a CT service in Wolverhampton. In 1995, the RCR awarded him an honorary fellowship. "His peers' trust in him was absolute and deserved. His commitment to acutely ill patients 24/7 was exceptional. He never dodged, obfuscated, or put patients at extra risk. Meticulously careful and appropriately cautious, his clinical judgement matched his imaging and interventional skills," noted FitzGerald, who was a former colleague of Mackie. Mackie is survived by his wife, Hazel; his four children; and nine grandchildren.